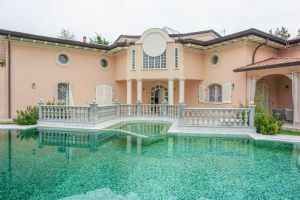 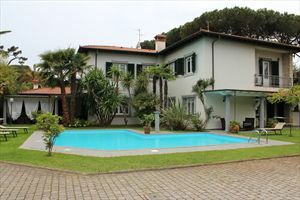 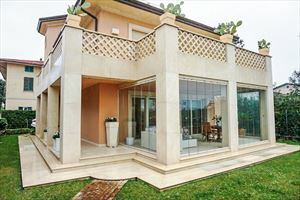 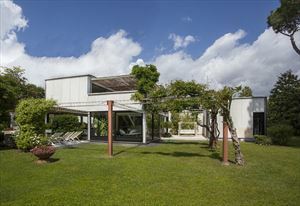 A detached villa in the central area of Forte dei Marmi, surrounded by a large garden of about 800 sq.m. 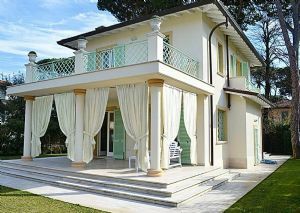 that guarantees privacy and absolute tranquility. 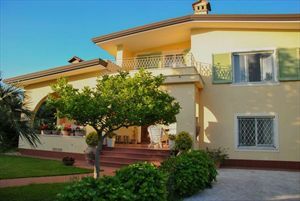 The ground floor comprises a living room, professional kitchen, bathroom and single bedroom with adjoining laundry and storage room. 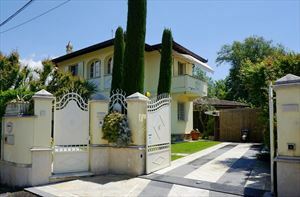 Upstairs are three double bedrooms with bathrooms. 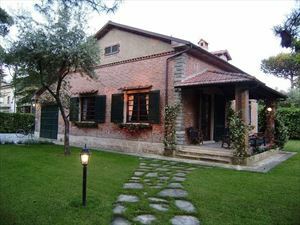 The property is provided with air conditioning, satellite TV, Wi-Fi, automatic gate, private parking.